Rewards Canada: Flexible travel points credit cards aren't only for flights, hotels or car rentals! Whale watch excursions count too! Flexible travel points credit cards aren't only for flights, hotels or car rentals! Whale watch excursions count too! As you know Rewards Canada is all about flexibility. We even have our very popular feature on reward card flexibility with the famed yoga infographic. In that piece we state the most flexible travel rewards cards are those that allow you to book travel on your own and redeem for it after the charge posts to your account. What this actually allows you to do is be on vacation or in the midst of any travel, put a travel charge on the card and then when you get home you can redeem your points for the charge(s). Whether it is some train tickets, a ferry ride or even an excursion, as long as it posts as a travel charge you have the ability to redeem for it. Here is an example from a recent trip we had. 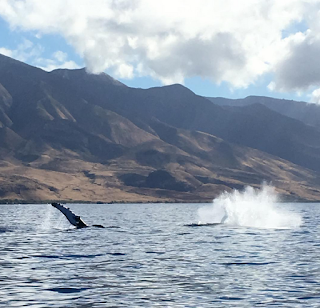 We booked a whale watch tour in Maui and paid for it with our American Express Gold Rewards card. When the charge posted I noticed it earned double points which meant Pacific Whale Foundation is set as a travel merchant! The "Use my points" feature on the American Express website is a great way to see what travel related charges you've had that can be redeemed for with the card. As you can points don't have to be used just for flights, hotels or car rentals. Often there are many other merchants who charge out as travel providers just like this example. 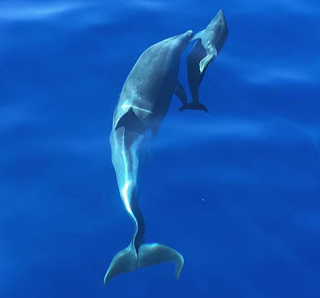 On a related note, if you are in Maui during Humpback Whale season (Nov-May) or during other times of the year and want to go see dolphins we highly recommend Pacific Whale Foundation for any excursions on the water. They run a tight ship (no pun intended!) and offer tours on small zodiacs to larger vessels that carry nearly 150 people. We have done no less than half a dozen whale and dolphin watches with them since 2008 and we'll continue going back to them!